This contrasts with IT service management (ITSM) which is specifically about the management of IT services. 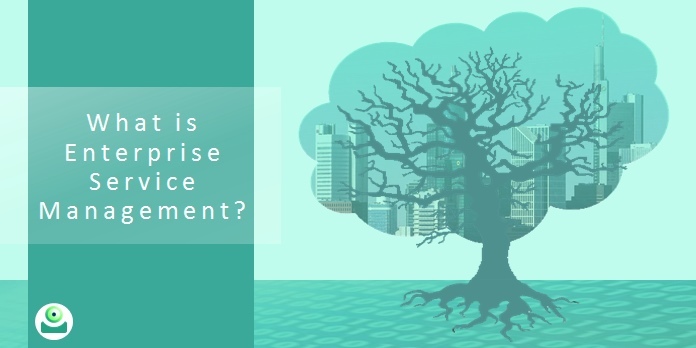 1 What is enterprise service management? Therefore we do not agree with the definition in Wikipedia. If you are new to ESM, start here! 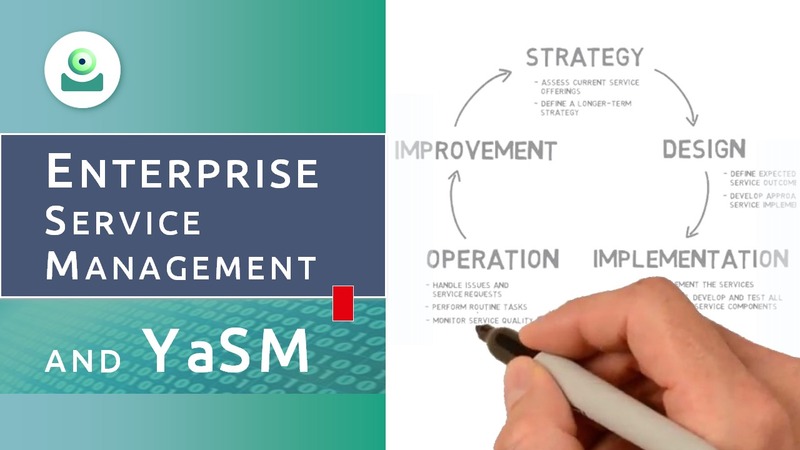 In this video Stefan Kempter explores the ideas behind enterprise service management and he shows how the YaSM model helps service providers with introducing ESM. The discipline of service management was pioneered in the field of information technology (IT) services. Back in the 1980's, the British government found that many of the IT services it procured did not meet expectations, and commissioned the development of methods for the provision of IT services with better quality at lower costs. This led to the publication of a catalogue of IT service management (ITSM) best practices for the IT organization, which today is known as ITIL® (IT Infrastructure Library). Over the years, ITIL was updated several times, and it's probably fair to say that the ITIL advice is followed - to varying degrees - by the majority of organizations that provide IT services. So ITIL was developed specifically for the domain of IT services, and therefore many parts of ITIL are about managing the technical infrastructure that underpins the business of IT service providers. But it was always obvious that there are many similarities between providers of IT and non-IT services. Everyone in the business of providing services should, for instance, know the needs of their customers and have methods in place for offering and managing a range of services that fulfill those needs. What happened is that, as ITIL grew popular, more and more people realized that ITIL and ITSM best practice can be put to good use in all organizations or business functions that provide services, for example in the fields of healthcare, banking, human resources, legal services, etc. The spread of ITIL beyond the framework's traditional use in IT was certainly driven by the many "ITIL-compatible" tools that are readily available on the market: Service providers of all sorts discovered that their operations can benefit from tools such as help-desk software or self-service portals. Still, we are at the beginning and the idea that ITIL principles can be applied outside IT organizations is only now gaining traction. In this context, "enterprise service management" has emerged as a new catchphrase. It is often used when people speak or write about "applying ITIL and ITSM best practice in areas beyond IT". So, what are the benefits of applying ESM best practice? Enterprise service management does not have a long history yet, but IT organizations have been following the IT service management guidance for decades and seen many improvements. Cost savings through more efficient processes and workflows. Improved customer satisfaction through customer focus and seamless support. Long-term success through active management of the service portfolio. Unlike ITIL, enterprise service management is not a well-defined framework, so we cannot provide a universally accepted list of ESM processes and activities. But since ESM has its roots in IT service management best practice, we can assume that the service lifecycle concept in ITIL is a good starting point for all organizations that wish to improve the management of their services. The lifecycle is a variant of the "Plan-Do-Check-Act" or "PDCA" cycle, a well-established management method for continual improvement. The first stage in the service lifecycle is about setting the service strategy. As service providers, we start with an assessment of our current service offerings, the customers' needs and our own weaknesses and strengths. Based on this assessment, we can define a strategy or road-map for developing a portfolio of services to be offered to our customers. In the second process, we define the expected outcomes of any new or changed services and specify the approach for their implementation. In the third lifecycle stage, we take care of implementing new services (or changes to existing services). This includes acquiring, developing and testing of all required service components, such as the technical infrastructure and supporting services provided by external parties. Once the services are operational, we need to ensure they are provided efficiently and effectively. This includes handling issues and service requests, performing maintenance tasks, and producing reports on the achieved service quality. The final stage is about continual improvement. Within this process, we assess if the services are delivered as promised and try to identify potentials for improvement. This will often lead to the specification and implementation of service improvements. Of course, this list of processes is not prescriptive, but for most service providers it will be appropriate to introduce at least a basic set of service lifecycle processes, for the lifecycle concept ensures that we never stop learning from past successes and failures - and stay on track in the longer term. For instance, a business installing equipment in clients' homes will need robust processes for managing configuration information and dealing with failures of these devices, while this may not be so much of a concern for a restaurant chain. Apart from the service lifecycle processes, most organizations will need a number of additional, supporting processes, as recommended in service management best practice. Among these are customer relationship management, project management, financial management, etc. Again, this list of processes is not prescriptive and which ones are needed will depend on the type of business. ITIL was developed specifically for the domain of IT services, and what's more, it has grown rather complex over the years. From numerous conversations with our customers we know that, in order to become attractive to providers of non-IT services, the service management guidance has to be easier to understand and less biased towards the management of IT infrastructure. When creating YaSM, our aim was to build a streamlined process model that is not too hard to understand. YaSM, with its simple process structure and complete set of process and document templates, is thus a very good choice for organizations that want to get started with enterprise service management. This description is a variant of the term "service management" in the official ITIL® glossary. The complete ITIL glossary (in English and German) is available for download at the itSMF Germany website. Enterprise service management. -- Wikipedia. Retrieved November 25, 2016.